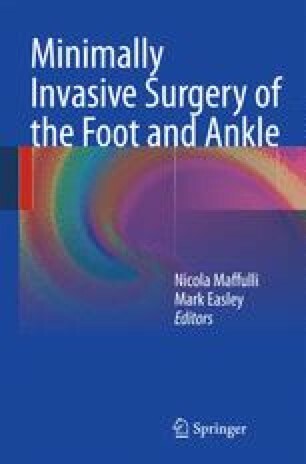 These Minimal Invasive surgical (MIS) procedures are utilized for the treatment of a variety of hammertoe deformities. Performing transverse, combination, or wedge osteotomies in the proximal or middle phalanxes of the deformed digits preserve the functional articular surfaces of the metatarsal phalangeal and interphalangeal joint resulting in the correction of the structural deformity of lesser digits. Performing percutaneous tenotomies and capsulotomies will result in correction of the soft tissue deformities of this pathology. MIS permits the surgeon to utilize different surgical procedures to address the different components of a given deformity.